Scott D. Pierce: What the heck is New Fox? What is the network becoming? What in the world is happening to Fox? The network used to be all about youth. Cutting edge. Pushing the envelope. Now it’s kicking off its new Friday schedule with the return of “Last Man Standing” (7 p.m., Ch. 13) — a 7-year-old show that stars 65-year-old Tim Allen as a guy who (metaphorically, at least) tells whippersnappers to get off his lawn. Fox follows that with the new sitcom “The Cool Kids” (7:30 p.m., Ch. 13), which stars David Alan Grier, 62; Leslie Jordan, 63; Vicki Lawrence, 69; and Martin Mull, 75, as residents of a senior citizens' home. And the first three are clearly playing older than their actual ages. To be clear, there's nothing wrong with “older” folks starring in TV shows. Twentysomethings don't have a lock on talent. But these are not shows that we'd expect to see on young, trendy Fox. Let’s, for a moment, ignore the fact that “Last Man Standing” is the same sort of halfway decent sitcom it always was, and “The Cool Kids” is downright dreadful. The fact that Fox has gone so far afield from what it has been is worth noting, if only because of what it might be telling us about where the network is going. Fox is in the process of selling most of itself to Disney. After spending decades building a media empire, Rupert Murdoch is cashing out, selling the movie and television studios, the FX cable networks and stakes in Hulu and SkyTV. What's left — New Fox — will consist of the broadcast networks, 28 TV stations, the Fox News and Fox Business channels, and Fox Sports 1 and 2. To put that in some perspective, Fox’s studio currently provides 70 percent of the Fox network’s programming — and Disney will own the studio. So, after decades of networks telling us that the only way they can survive is to own their own programming, Fox won’t have a studio. 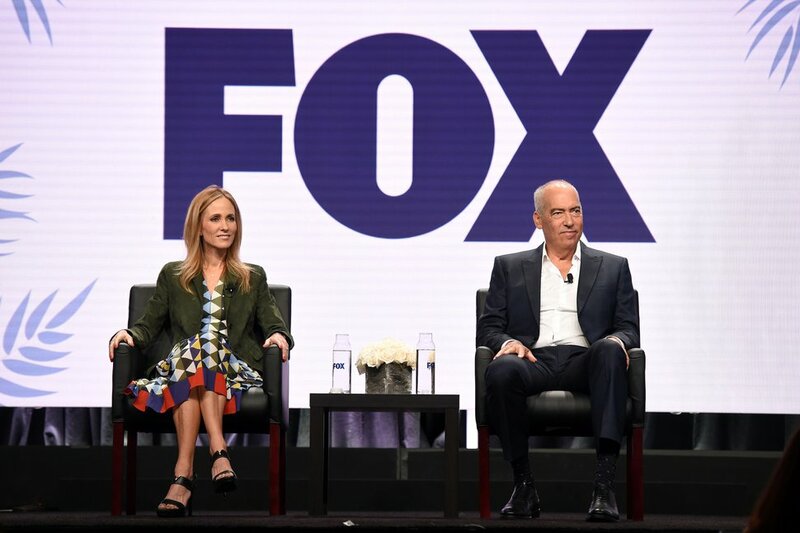 Dana Walden, the co-chairman and CEO of the Fox Television Group, told TV critics this will be a good thing because Fox will operate “with complete independence” and “the ability to pick up the best shows from any production company, with no studio agenda” — which makes no sense. She also said Fox will insist on “co-ownership stake in the shows that we order” — which makes a lot more sense. Oh, by the way, industry reports have Walden leaving Fox and going over to Disney/ABC when the sale is completed. Walden said the Fox network “will continue to have the same mix it’s had before,” but in addition to the senior citizen sitcoms, it paid big bucks for NFL Thursday Night Football, and it’s programming more reality shows and fewer scripted shows. And even if “Last Man Standing” proves to be a success for Fox on Friday nights, it can’t stay there more than one season. Beginning in the fall of 2019, the WWE’s “SmackDown Live” will air for two hours every Friday — for five years. Yup, the show that started on UPN in 1989 and has since aired on The CW, MyNetworkTV, Syfy and USA will become a fixture on Fox. Well, by next fall, Fox won’t own “Last Man Standing” anymore. Disney/ABC will. You know, the same folks who canceled the sitcom last year.